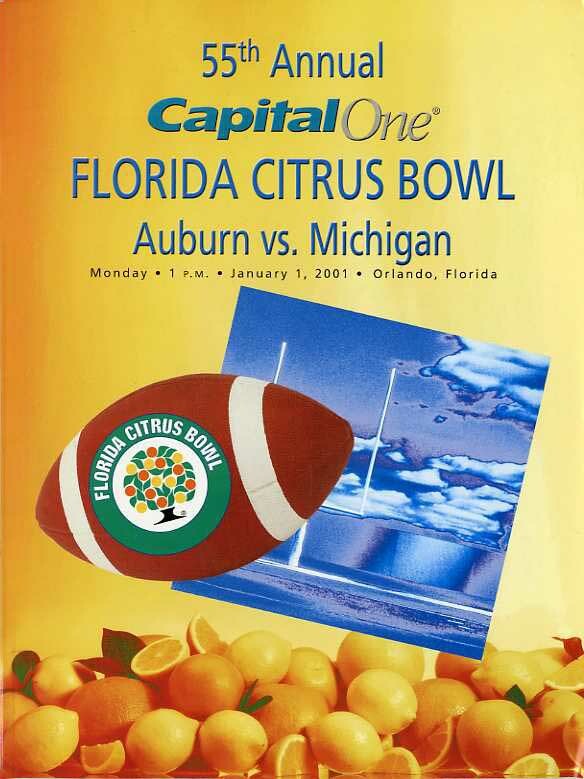 An efficient passing offense and a relentless ground attack led Michigan to a 31-28 victory over Auburn in the 2001 Florida Citrus Bowl. Drew Henson completed 15-of-20 passes for 294 yards and a pair of touchdowns, while tailback Anthony Thomas rushed 32 times for 182 yards and two touchdowns. On its second possession, Michigan brought a trick out of the bag, using a flea-flicker to fool the Tigers' defense and score a 31-yard touchdown pass from Henson to David Terrell. This 76-yard drive in 70 seconds set Michigan's efficient tempo for the game. Auburn struck back early in the second quarter when senior quarterback Ben Leard hooked up with wideout Ronney Daniels on a 19-yard touchdown pass. Leard hit Clifton Robinson for a 20-yard touchdown on the Tigers' next drive. Leard threw for 394 yards on the day, mostly in an effort to keep up with the Wolverine offense. Michigan scored the next three touchdowns of the game due in large part to Thomas' punishing running. 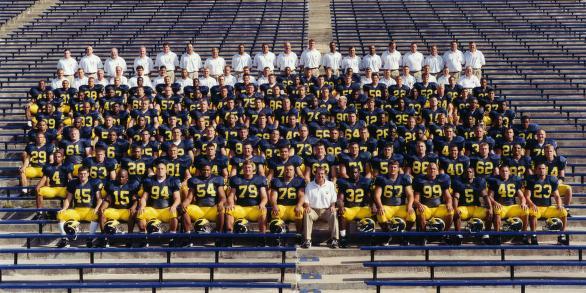 He racked up two touchdowns and became U-M's all-time leading rusher and scorer. In the midst of the Wolverines' offensive explosion, sophomore safety Julius Curry and senior safety DeWayne Patmon each made key interceptions to halt Auburn drives into Michigan territory. 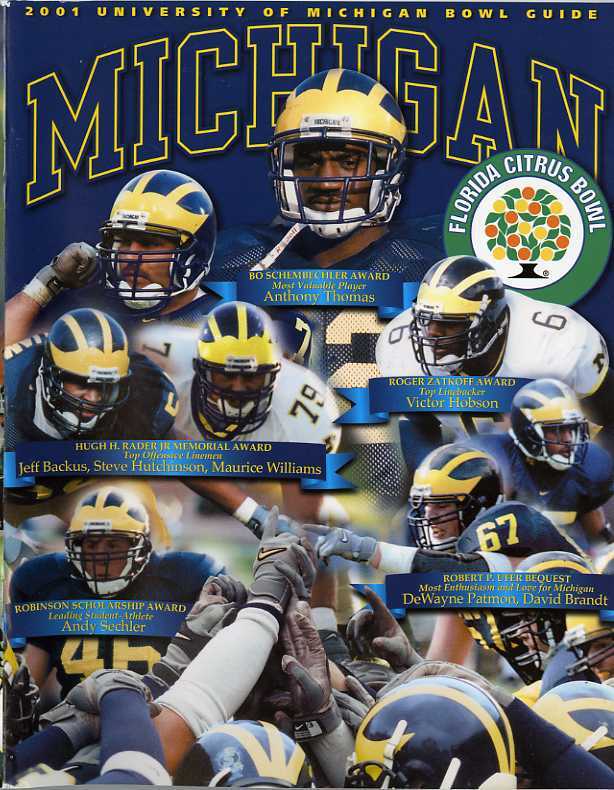 Other defensive stars for the Wolverines included junior linebackers Eric Brackins and Larry Foote with 13 and eight tackles, respectively, and senior lineman Eric Wilson with six tackles and a sack. Though Leard and junior running back Rudi Johnson tried to bring Auburn back, junior kicker Hayden Epstein connected on a 41-yard field goal towards the end of the third-quarter, giving U-M a 31-21 lead. Auburn added another late touchdown, but Michigan recovered an onside kick with 2:22 remaining and held on for the victory. Rushing-- (M): Thomas 32-182; Bellamy 3-16; Cross 1-0; Henson 6-(-36). (AU): Johnson 25-85; Evans 3-16; Robinson 1-4; Carter 2+2); Leard 4-(-11). Passing-- (M): Henson 15-20-0-294; Thomas 0-1-0-0. (AU): Leard 28-37-2-394.